You only have a few more months to enter... The Twilight Zone. Disney has announced that it will officially close the doors to the ride Twilight Zone: Tower of Terror on January 2, 2017, making way for Guardians of the Galaxy: Mission Breakout. 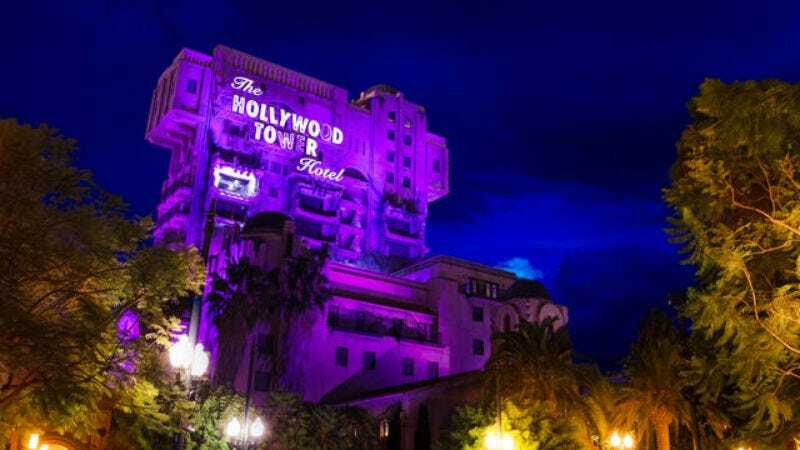 Tower of Terror has long cast its shadow at Disney’s California Adventure theme park, but at Comic-Con this year it was announced it would soon close and be reskinned to a ride themed with Marvel’s superhero team. That ride will, in turn, mark the start of more Marvel content coming into the park. Leading up to the closing, though, Disney has several events planned for fans to say goodbye to the legendary ride. The first one announced is “Late Check-Out.” From September 9-October 31, riders will experience the Tower in total darkness. There’s also new merchandise and concessions in the works. More will be announced leading up to closing day on January 2. Rumor has it Guardians of the Galaxy: Mission Breakout could then be open as early as summer, though that’s unconfirmed. Plus, the Florida version of the ride will remain open.